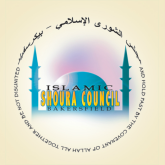 The ICSJV and Alfarooq Islamic Center each offer a very good after-school and/or weekend school program for youth of all ages. The programs generally follow a curriculum that focuses on the following three areas: 1) Islamic Studies; 2) Arabic; and 3) Qu'ran. The details for each program vary, and the best way to learn about the specifics is to contact those facilities directly using the information provided in the "About Us" section of this website listed at the top of this page. Sorry, no full-time Islamic school is currently available in Bakersfield.